It's nearly June. Every day, the Earth brings Darryl "Grey Eagle" Brown closer to the Sun, to heaven, to the Creator. That means it's nearly time for the Eagle Sun Dance ceremony, a 12-day communal gathering of fasting, thanksgiving and prayer that takes place around the summer solstice, when the Creator is especially near. Wilson Roberts, 76, is an elder member of the Choctaw Nation. He believes the Earth is deeply out of balance and the only way to call his people back to their traditional ways of farming and relating to the Creator. Brown has held this ceremony on his family's land outside Durant, Oklahoma, each summer for 20 years. Every year, it seems to get hotter, he says, and the weather less predictable. Some years, they dance on parched ground under a cloudless sky. At other times, they're nearly blown away by hot, angry winds. Last year, they were drenched in torrential floods. But regardless of what the weather holds, Brown must dance anyway because he feels the Choctaw - and the earth - needs him to. "Our ceremonies help keep life in balance," he says. Brown believes that both his people and the earth they inhabit are deeply out of balance, damaging one another as a result. "Man's pollution has altered the earth," he says. "The earth is speaking now, but man won't listen." Brown knows the outside world has a term for these catastrophic weather shifts: climate change. He knows there have been summits and debates and policies on the matter. But here in Choctaw nation, Brown doesn't place much stock in what the federal government or the United Nations have to say. The earth is speaking - speaking through thunderous rains, violent tornadoes and scrambled seasons. "The seasons aren't in order any more," Brown says. "I remember winter in Oklahoma. I remember the ponds freezing up and staying that way for months. Now, we get a few days of cold, but no real winter." Historically, the Choctaw have proved to be adaptive to whatever nature has given them, says Scott Ketchum, a Choctaw member and PhD candidate studying Choctaw cultural history at the University of Oklahoma. "But now, you have a thunderstorm in January that normally marks the change of a growing cycle, and then the next week, you have a snow storm. What do you do with that?" The earth is out of balance, Brown says, and his people are partly to blame. 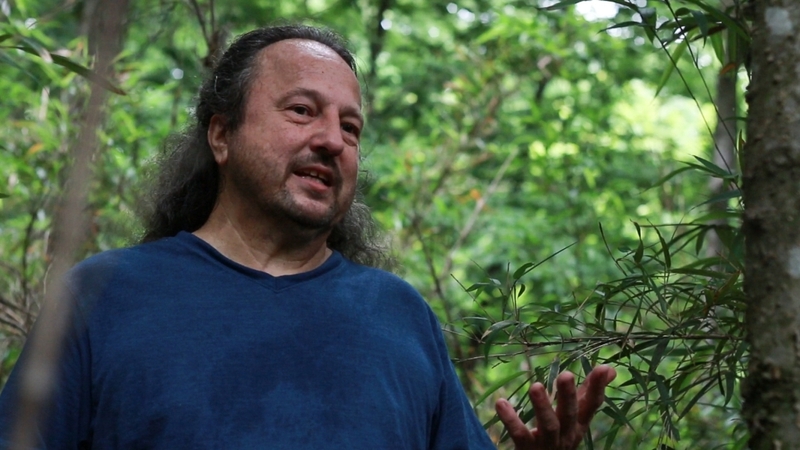 "It's written in our teachings, the knowledge of how to take care of the earth," he says. "We're out of balance with that teaching." The Choctaw cultural identity has always hinged on an intimate connection with the environment, says Wilson Roberts, a tribal elder and spiritual teacher. "In my mother's teaching, I was always taught that all animals and life-bearing things are just like us," he says. "We're a part of them, they're a part of us. We're supposed to take care of each other and look out for each other." The Choctaw have forgotten this, Roberts says. And what's worse, they've failed to impart their knowledge to the settlers who now control much of their ancestral homeland. The Choctaw were forcibly removed to Oklahoma from their lands in Alabama and Mississippi in 1831. Twenty-five percent of the population died during the journey, and those who remained were converted to Christianity. "The government came in and took away everything," Roberts says. "I'm talking about everything …. They burned our pipes and whatever we had that they thought might have some sort of 'energy', anything that was sacred to us." For Roberts, 76, this isn't some far-flung part of his history - these are his grandparents' stories. The removal marked the beginning of the imbalance, Roberts says. "I always tell people that our downfall as a Choctaw nation is that we gave up what the Creator gave us," he says. "We didn't fight hard enough to keep it, and because of that, we've lost our continuity with the Creator." In a modest trailer that serves as a government office building, Ryan Spring labours to do just that. As the director of historic preservation for the Choctaw nation, it is Spring's job to study his tribe's past, relearn its traditions and help people like Roberts and Brown pass it on. "The more culture and heritage we give back, the more we become whole again," Spring says. For Spring, a good place to start is by re-teaching traditional gardening. Historically, the Choctaw were adept farmers whose ceremonies and gatherings revolved around the growing cycles. Since their removal, however, they've become highly dependent on processed foods handed out through state welfare programmes. A return to traditional gardening will help members regain independence from state handouts, reduce their risk for heart disease and stroke brought on from the unhealthy foods they are given - and reduce their imprint on the environment. "The growing seasons are getting more and more unpredictable," Spring says. "We'll have longer cold snaps or six-year droughts. There's no average." Spring teaches members to keep small gardens that are easier to manage, regardless of the weather. Brown has one, and he has learned to shift his planting and harvesting year-to-year and season-to-season, depending on what the weather appears to be doing. He can't depend on regular, consistent cycles like his grandfather taught him to do, but by paying close attention to the weather - by listening to the earth - he can grow his food anyway. Likewise, he has learned to perform his ceremonies not according to the seasons but according to the cycles of the Sun and Moon. This too is a departure from the Choctaw's ancestral ways, Ketchum says, which revolved entirely around growing cycles. "You used to know to start a particular ceremony in June when a certain plant bloomed," he says. "But now, it might be June and the plant won't bloom at all or maybe it will have bloomed early." "The weather will do what it does and we have to be adaptable," he says. "We have to get creative, we have to find new ways to keep [ceremonial items] dry, which normally would already be dry or to hold a sweat lodge even when it's chilly outside. But creativity is part of the [Creator], we have that creativity in us." The bamboo-like plant used to cover Oklahoma, growing in kilometre-wide swaths called "cane breaks". Now, as much as 98 percent of it is gone, says Roger Cain, a river cane specialist from the nearby Cherokee Nation. "We had a massive die-off in 2011," he explains. "We had two weeks in February where it was below [-17C]. I haven't seen that kind of weather in my whole life." Flooding in 2015 further emaciated the river cane population. "We had floods wipe out entire cane breaks," Spring said. "It's grown back some since then; it's surviving, but not on the level where we can use it to make baskets." 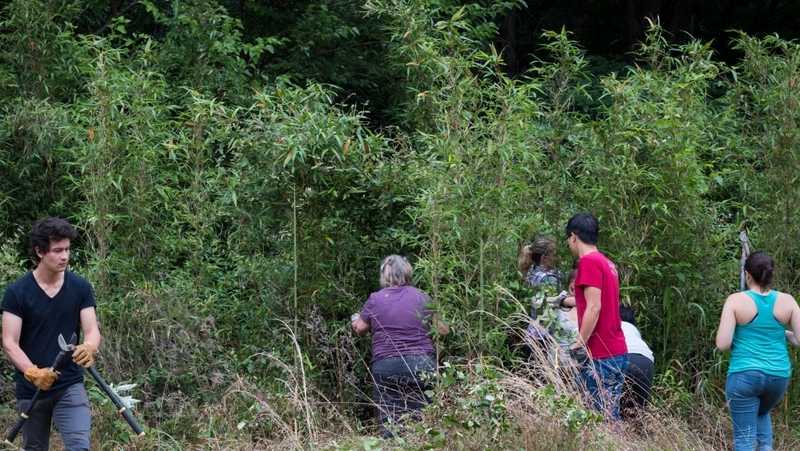 Cain has worked with the Cherokee nation to declare river cane a culturally-protected plant species and has begun a project to map what populations remain in an attempt to preserve them. 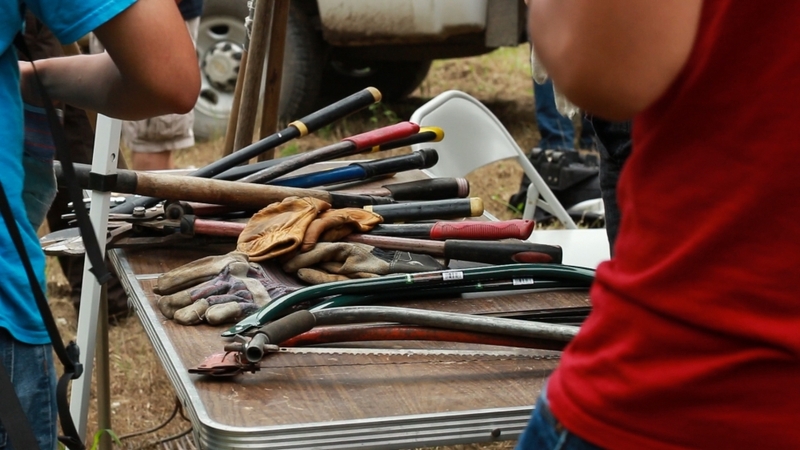 He holds regular "wild gardening" sessions where he visits these cane breaks and weeds out any invasive species that pose a threat to the plants. He is hopeful that with time and care, he will be able to restore these cane breaks to a level where tribes can resume regular large-scale basket weaving. As Brown prepares to host the Sun Dance ceremony, he is keenly aware that everything he is doing is different from the ways of his ancestors. So much has changed. So much has been lost. But he will dance anyway. He will dance with what he has. "[Because] our ceremonies are helping," he says. "They're helping the cycles, they're helping the earth."